Over 2.35 million participated in the largest shared reading experience! How important is reading to FasTracKids? We answer that question by partnering with Jumpstart for their premiere national campaign Read for the Record®, the world’s largest shared reading experience! Once a year, millions of children and adults across the globe come together to read the same book on the same day. 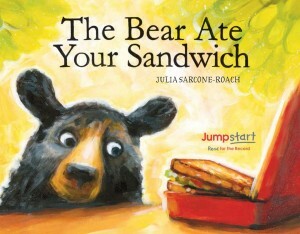 On October 27, 2016, FasTracKids, Jumpstart and other early education supporters had over 2.35 million participants read The Bear Ate Your Sandwich by Julia Sarcone-Roach. From Russia to South Africa and Mexico to Malaysia, readers were delighted by the tale of a bear’s journey from forest to city and back home again while supposedly eating somebody else’s sandwich. Over 10,200 participants from FasTracKids centers in 21 different countries celebrated literacy and supported efforts to promote school readiness by reading this story. The characters from The Bear Ate Your Sandwich came to life at events that were held in centers, community buildings and schools. Theatrical performances, sandwich creation stations, bear crafts, guest readers, book donations and other activities helped make this event truly inspirational! FasTracKids even used Facebook Live to broadcast the story for those not able to be at an event. See images from our worldwide events in the gallery below. Help us try to break the world record in October 2017 by having your child participate at your local FasTracKids center!